Dare to be off-square with our best-selling Shutter Collection. 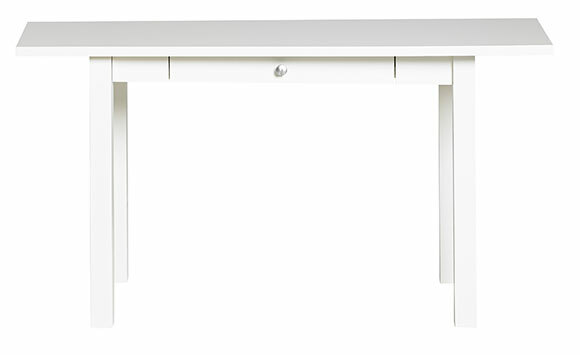 The Study Desk offers an uncluttered surface with a single drawer for pencils and the like. Square Legs with a trapezoidal top make this simple design truly one of a kind. Shown in White on White. Natural finish options available.